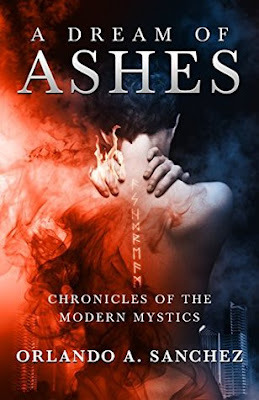 A Dream of Ashes by Orlando Sanchez is a tense fantasy-thriller. A mysterious plot surrounding Ava, who works in the Mystic Investigative Division. But when the Division turns on her, she goes on the run. Addictive is one word that I'd use to describe this novel. I wish I could say more but given that there is a lot that can’t be said because of spoilers, I would say its a story rich in detail, full of the sights, sounds, and smells that make you feel as though you're actually there. One of those books that was just a joy to lose myself in. Some may hate cliffhangers but this actually worked for this book. I can’t wait to read book 2, I'm wondering what this author has up his sleeve next.